Preheat the over to 425 and line a baking sheet with parchment paper. 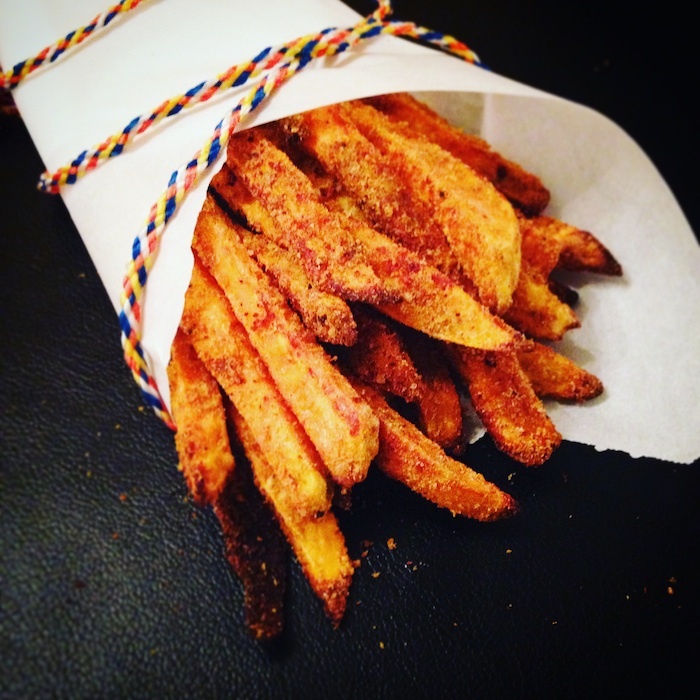 Peel and cut the Sweet Potato into uniform "fries". Place the uncooked fries, Corn Starch and Corn Meal into a big zip-lock baggie. Seal and shake until the fries are evenly dusted. Next, add the Nutritional Yeast, spices and Olive Oil. Seal and shake, shake, shake! Lay the fries out on the baking sheet making sure none of them overlap...we want these fries to have some space around them so they can get crispy! Bake for 15 minutes, then flip the fries over and bake on the other side for 15 minutes. 360 degrees of CRiSP.